As SAP applications are based upon latest ERP technologies and most advanced resources, these need some rock solid hosting platform for a smooth running forever. Server Basket has provide end to end sap hosted solutions and it has incorporated the best infrastructure with unlimited storage space and unlimited ip’s , unlimited bandwidth and high quality security checks and many more things. Are you not satisfied with your existing SAP hosting service provider? Is your money and order processing transactions are slow enough? We manage and provide all SAP solutions like fixing errors, banking solutions, reporting solutions, retail solutions, analytics solutions, CRM solutions etc. 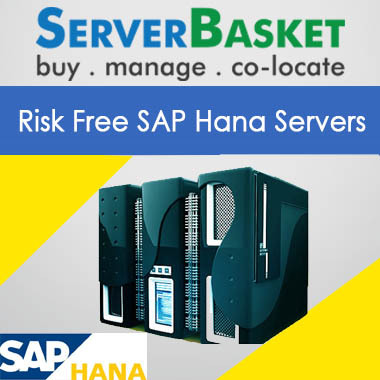 Just get in touch with Server Basket choose our affordable and faster SAP hosted solutions. 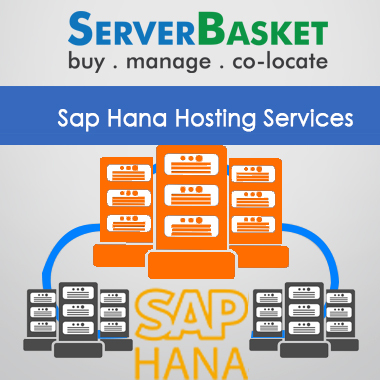 Due to discounted offer, we never compromise in the quality of the sap application hosting service. 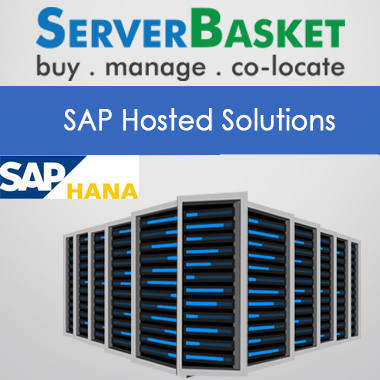 Server Basket provides end-to-end SAP hosted solutions including complete incorporation of projects with SAP enterprise support, SAP lifecycle services, improvements, hosting, system optimization, minimum end-user issues, and more features. Get all these facilities from our SAP Application hosting Service. As Sap applications are much powerful to run smoothly across the web networks, so the SAP hosted solutions must be so much powerful to provide sap hosting support and facilities to SAP ERP application. 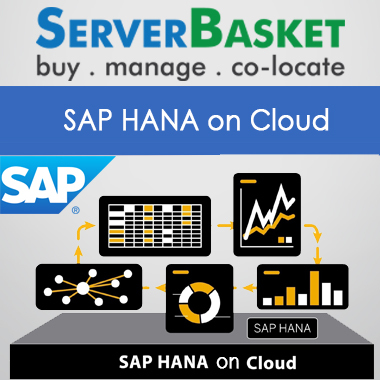 With Hana database and powerful RAM and processors, the SAP server would be much powerful for running of SAP cloud application solutions. Several readymade tools are available to get migrated the SAP applications from Windows cloud server to Linux server and vice versa. Through self service or assisted migration can migrate easily from Microsoft Office 365 - Emails, Contacts, Tasks, calendars, Journals, Notes to Exchange Server 2003, 2016 and later - Tasks, Emails, Notes, Calendars, Contacts, Journals, Google Apps/Gmail: Calendars, Emails, Contacts to GroupWise 7 and later - Calendars, Emails, Contacts, Tasks, IMPAS and POPS, etc. 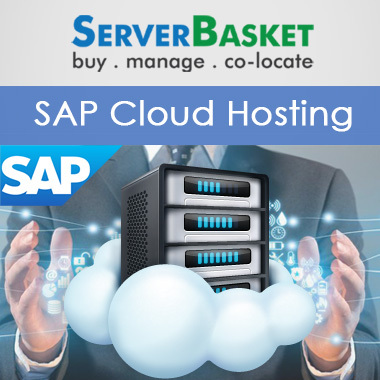 Because of the implementation of windows cloud web hosting service, the client will manage their control panel and web folders easily and any issues related to traffic overload, server crashes, and network fluctuations for SAP Database Server, SAP software Applications, SAP Hana Servers etc., will be resolved instantly. 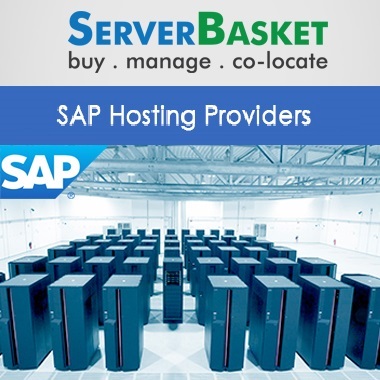 Server Basket, provides the best price for SAP software hosting solutions. The latest version of datacenters are the safest place for data of SAP hosting service and hardware as well configured to withstand floods, earthquakes, fires, and have several WAF and physical security zones. Tier-4 data center provides a guarantee of 99.99% availability earthquakes and low redundancy. Tie up your SAP applications With our Tier-4 data center and road band width and advanced version of hardware and security zones, the chances of trace passing or illegal hacking will be reduced to a lot. The performance of the SAP application will be going on like a local server speed. We are ready for customized SAP hosted solutions as per your need. Some of our custom SAP Server components are size of RAM, processor, OS, Data backup facility, migration, Load balancing, VPN, Specialized network configuration, Access control lists, and IP address space and many more facilities, so that the performance of your SAP application will be faster and consistent . Our highly experienced and certified SAP Technical team is your co-worker for smooth working of your SAP ERP software solutions. We have kept ready our professionals for 24x7 hours to satisfy our clients from 360 degree angle. Just contact to test it.